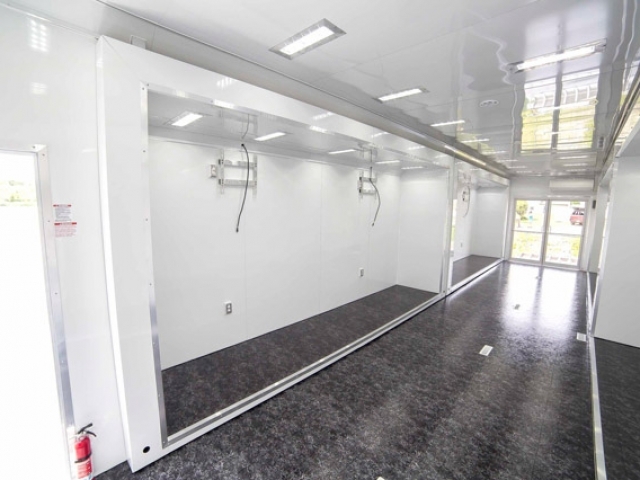 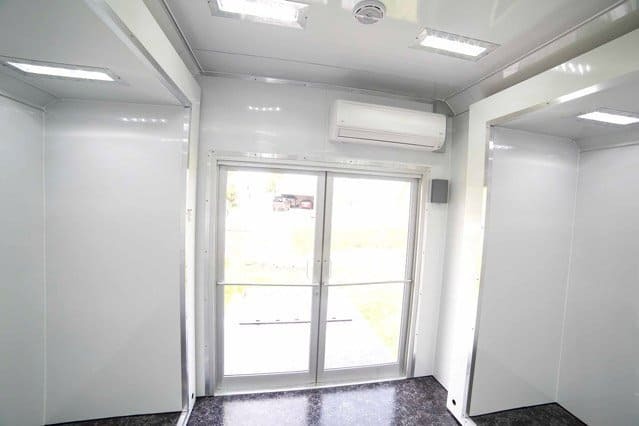 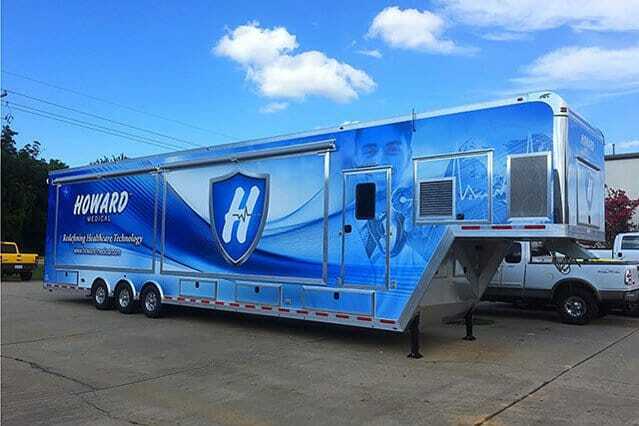 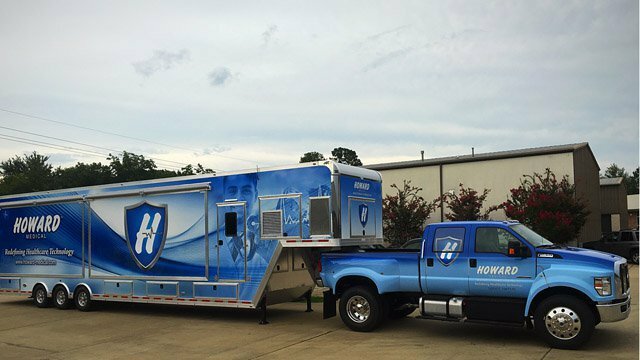 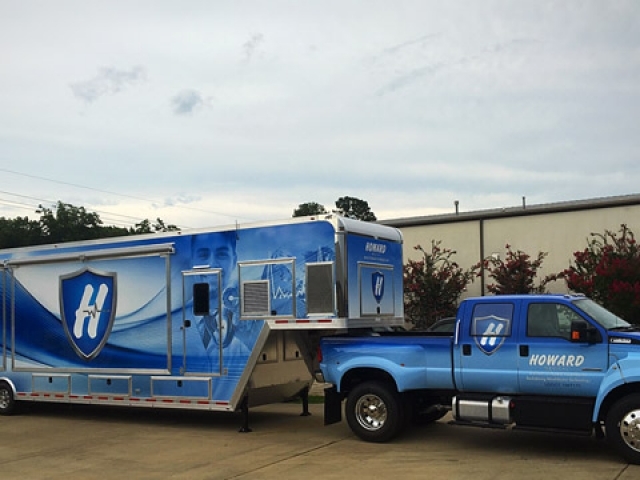 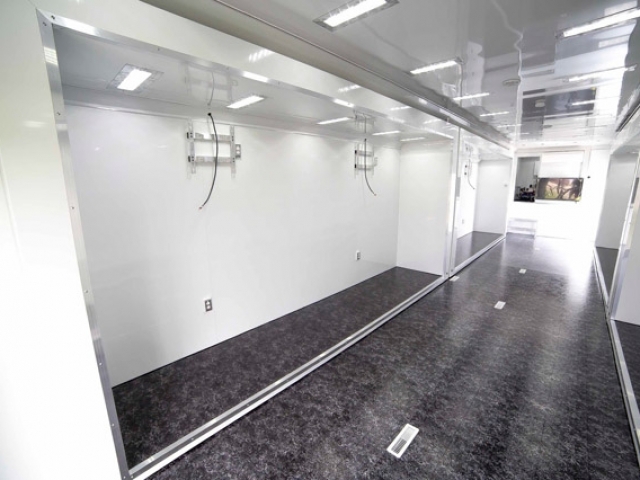 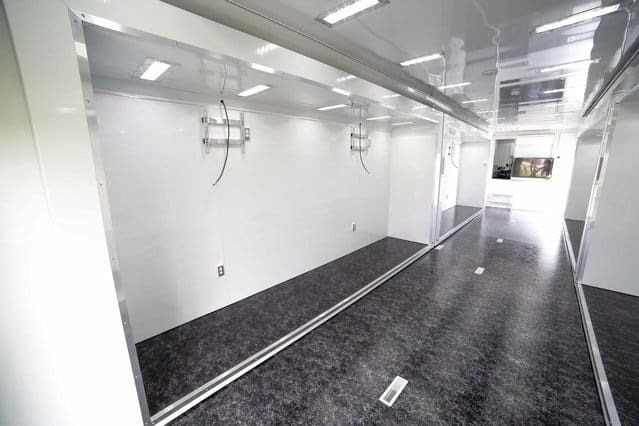 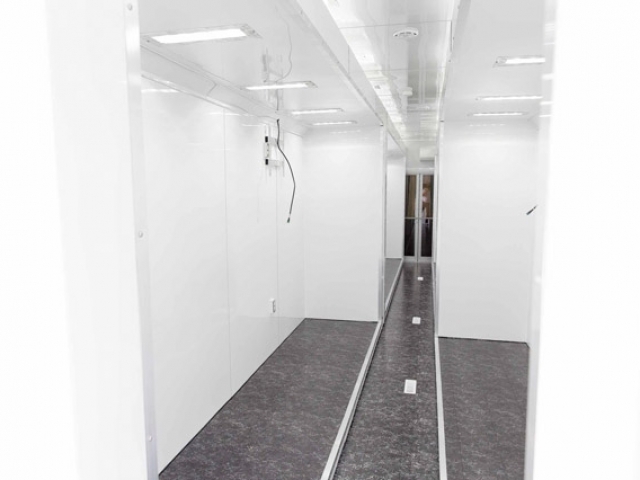 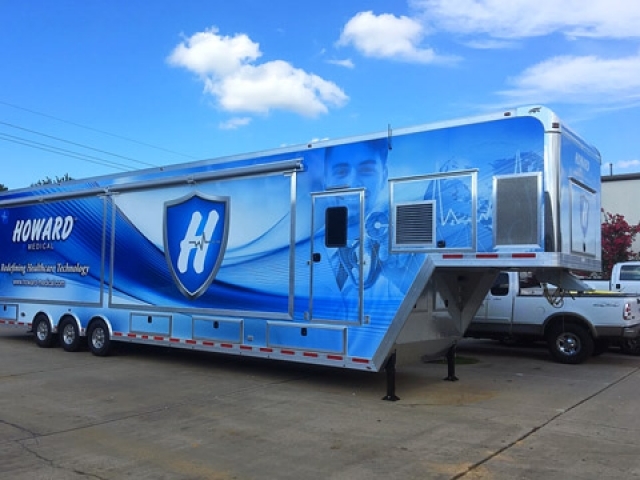 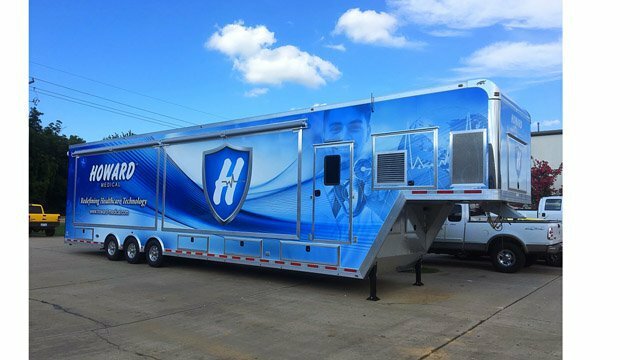 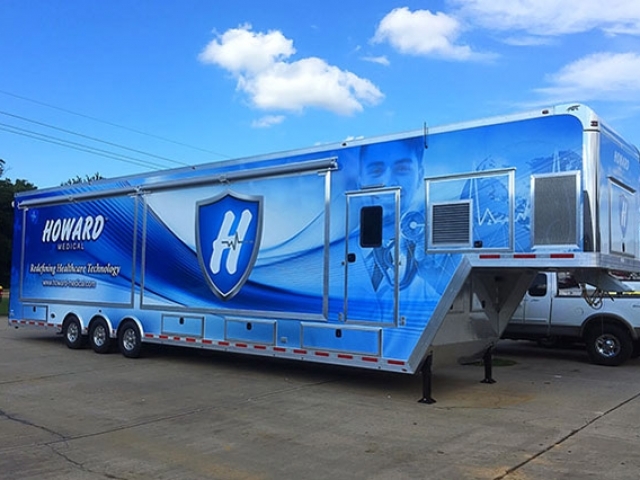 This 48 ft Showroom Marketing Trailer was built as a mobile showroom to display medical equipment. 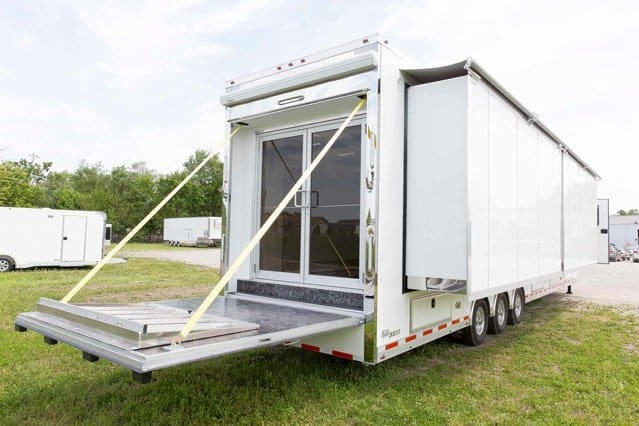 Popular options on this trailer included (4) 16 ft slideouts, split air cooling system, propane heat, double glass entry doors, 8 ft awning over ramp door, and sub-basement storage compartment. 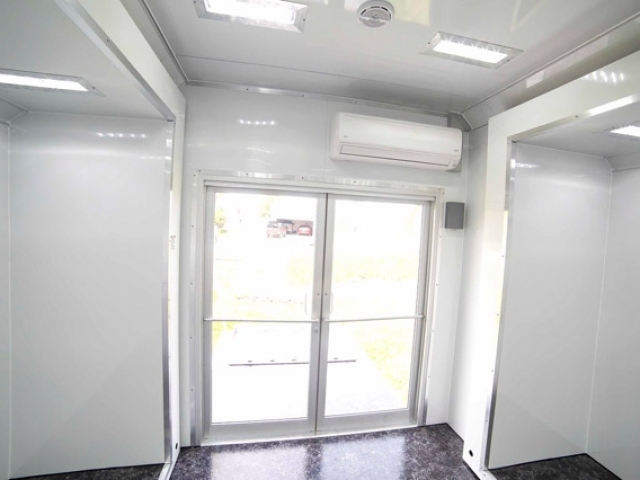 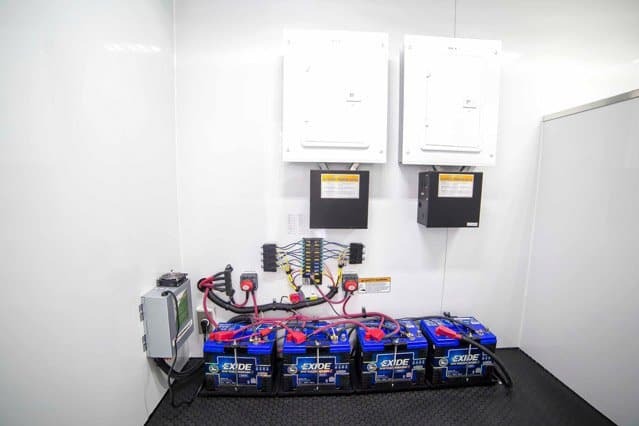 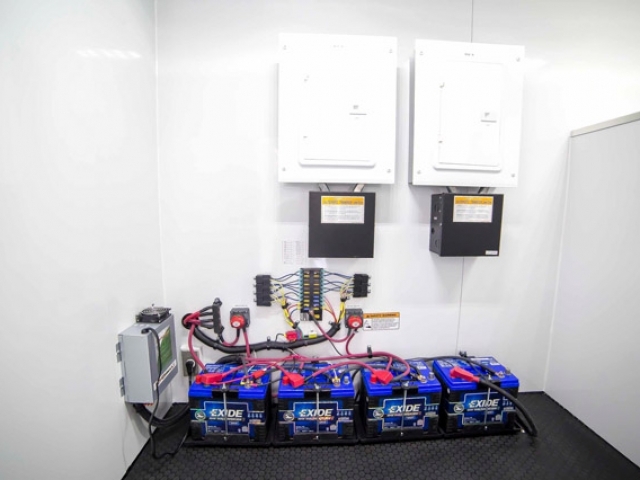 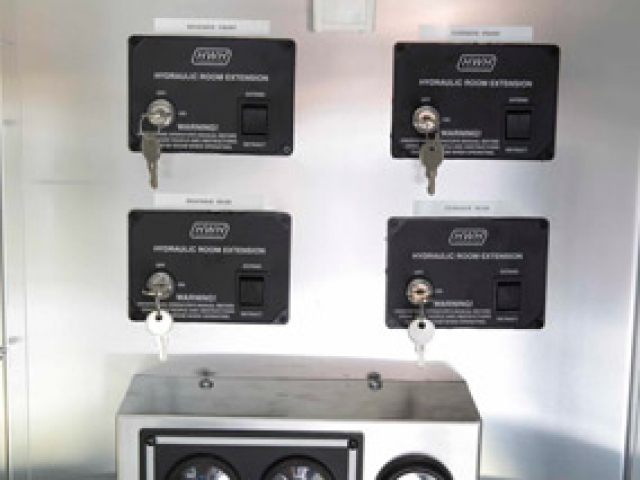 Also available with generator options installed. 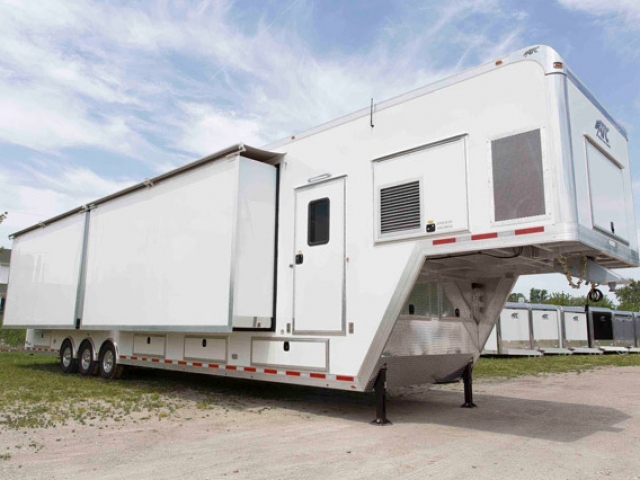 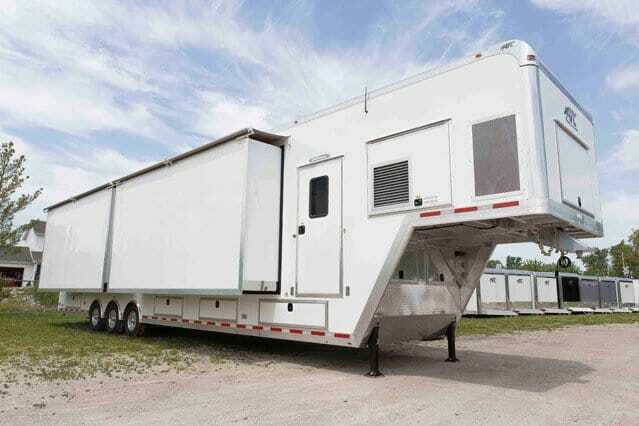 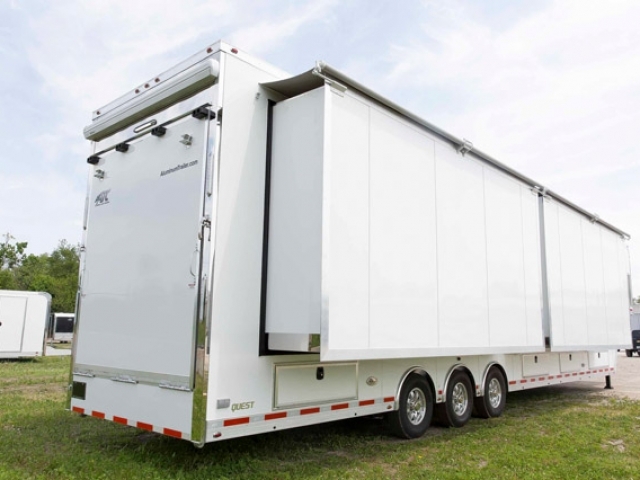 Marketing trailers are custom built from the ground up; available in bumper pull, gooseneck and semi models. 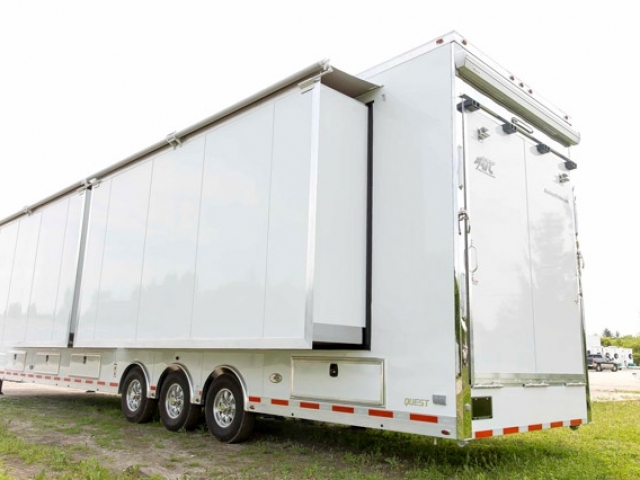 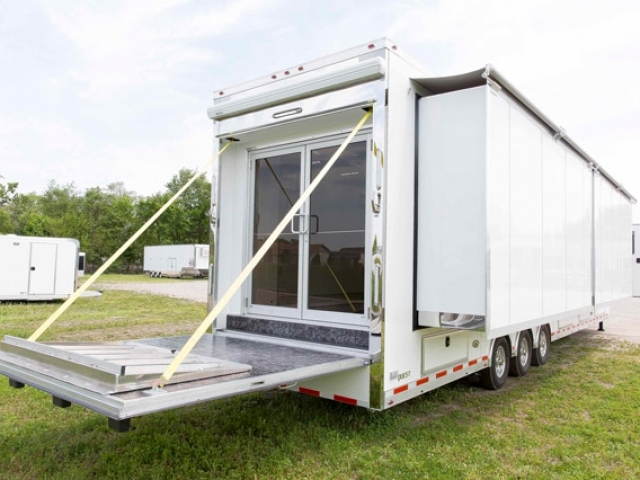 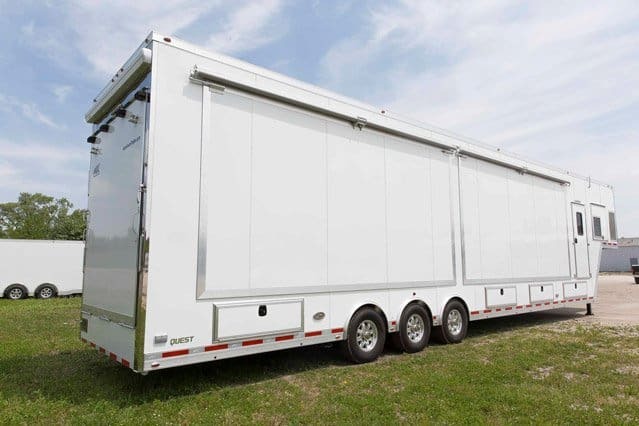 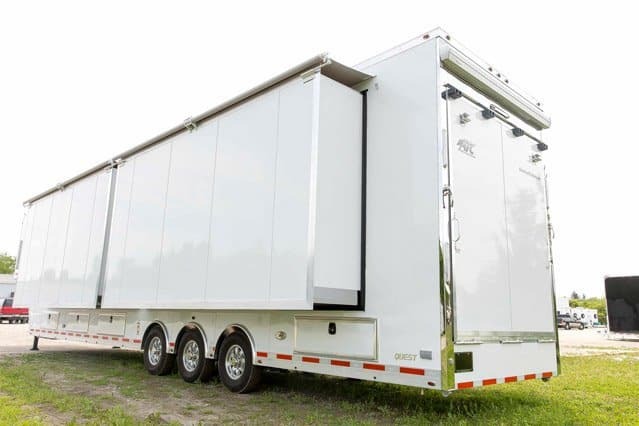 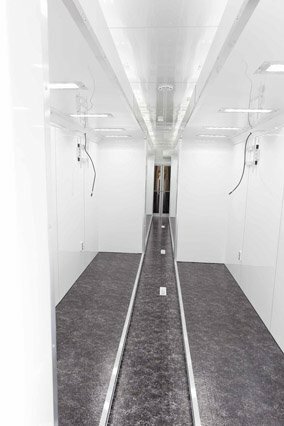 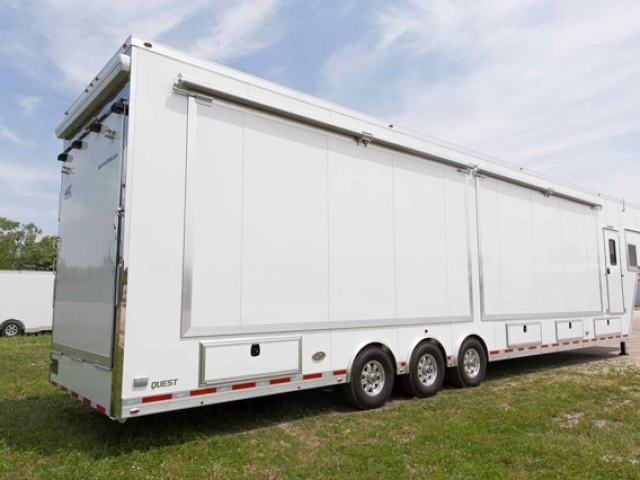 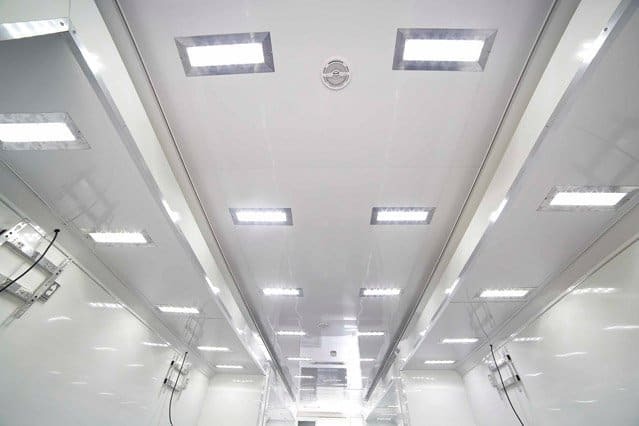 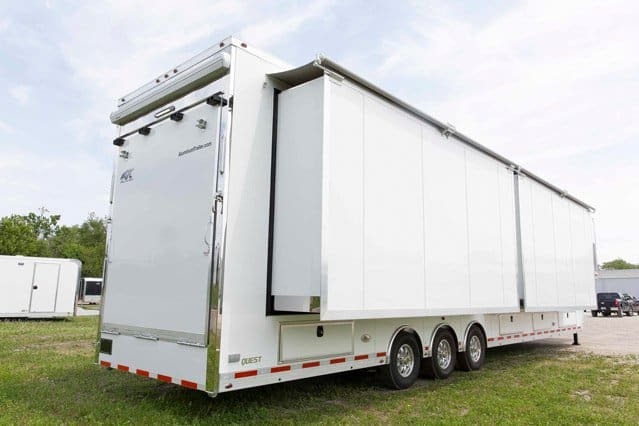 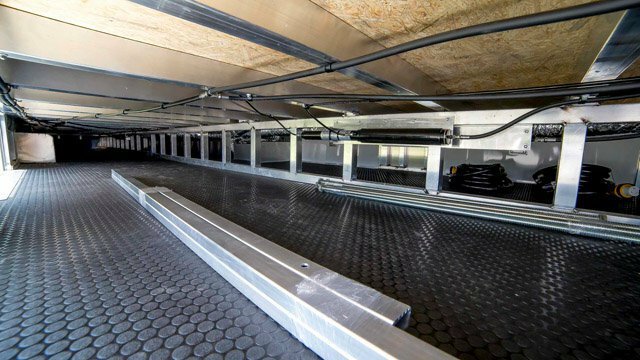 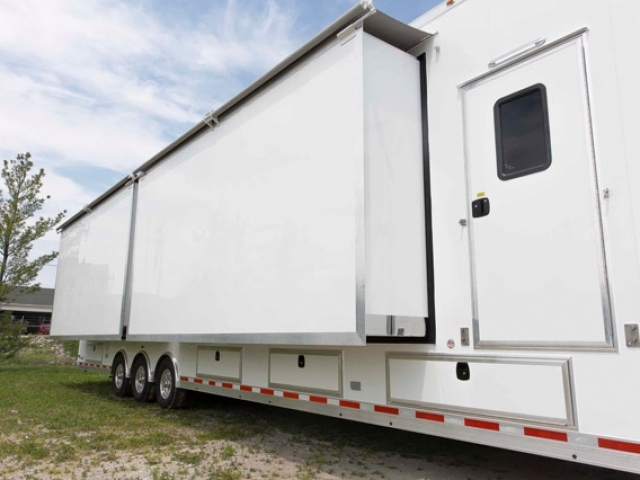 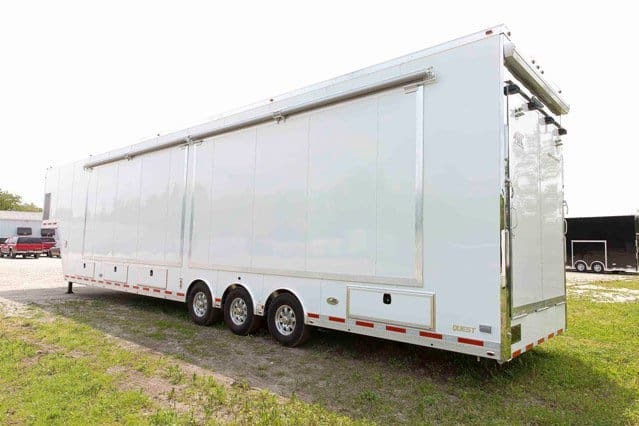 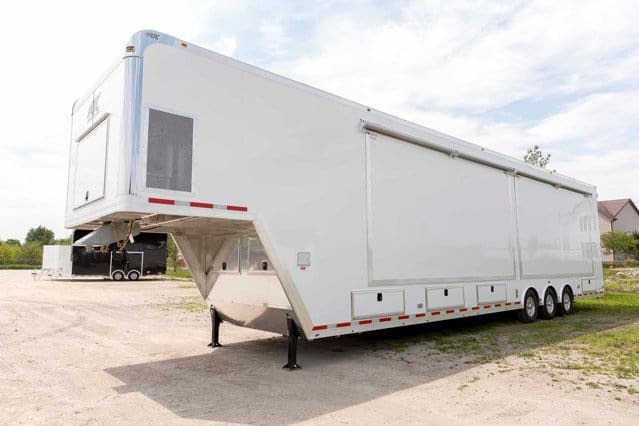 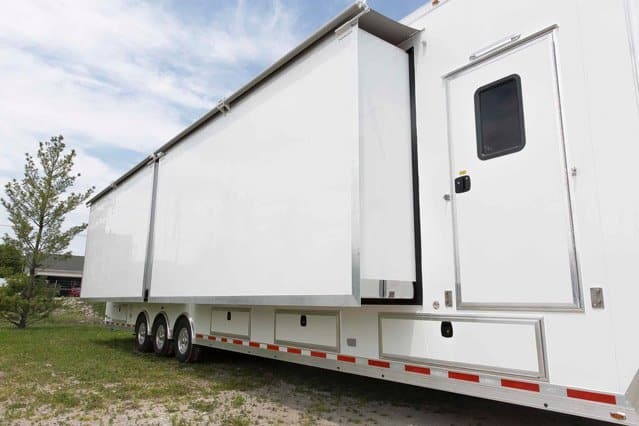 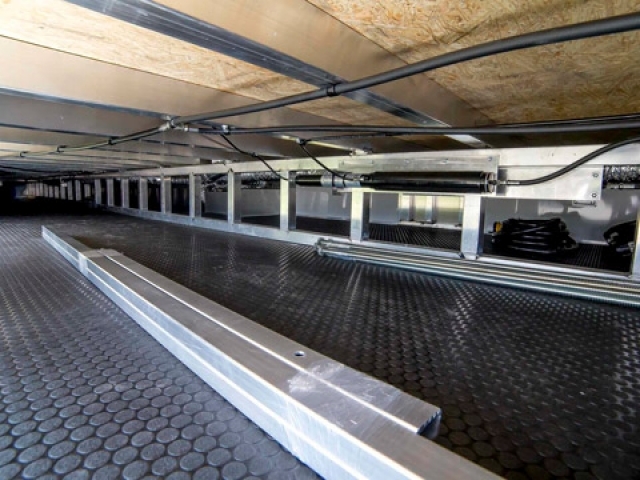 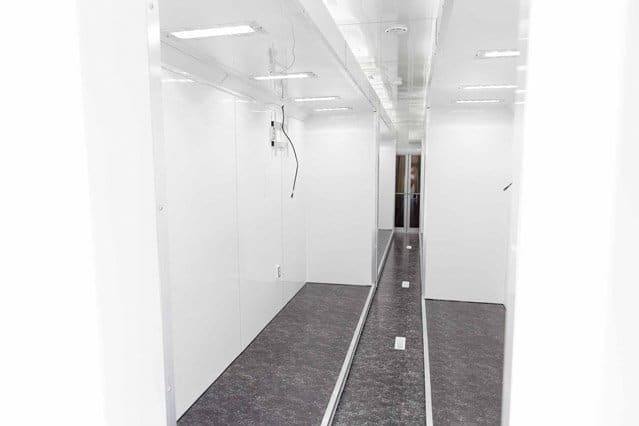 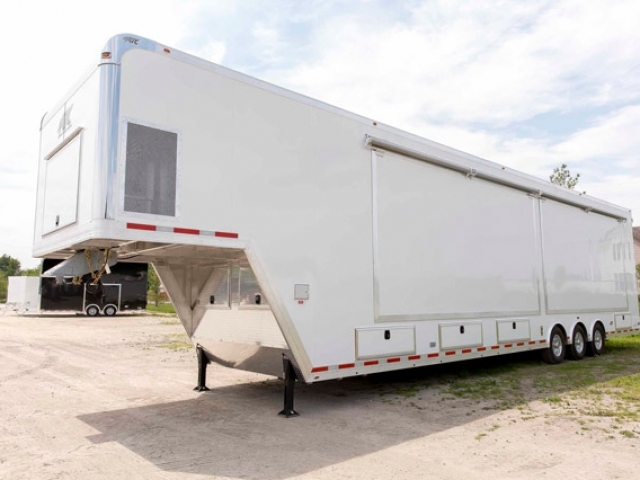 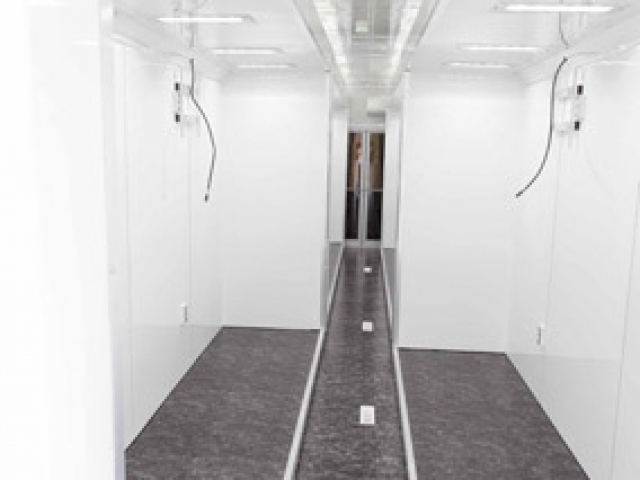 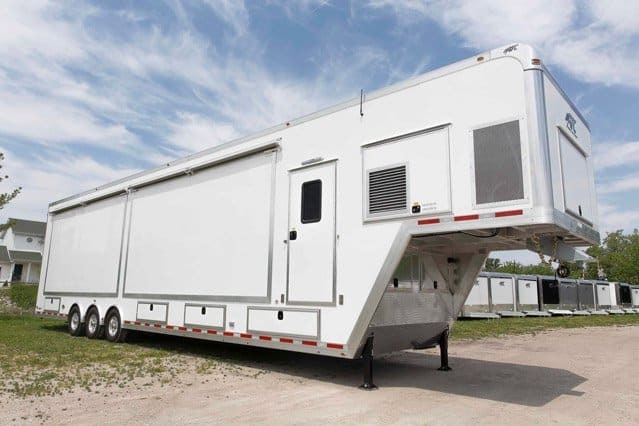 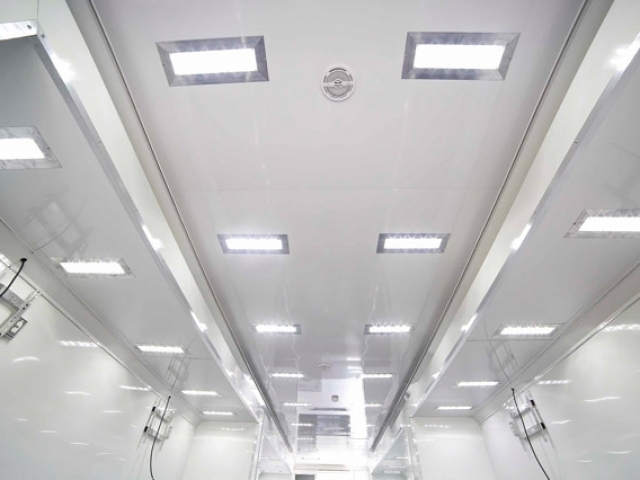 These trailers come in lengths ranging from 10 ft to 53 ft; with unlimited options, layouts, and colors. 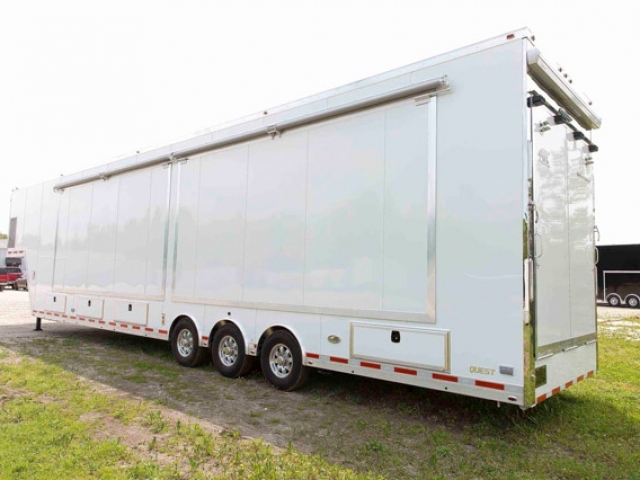 Click here to see additional Mobile Marketing Trailers. 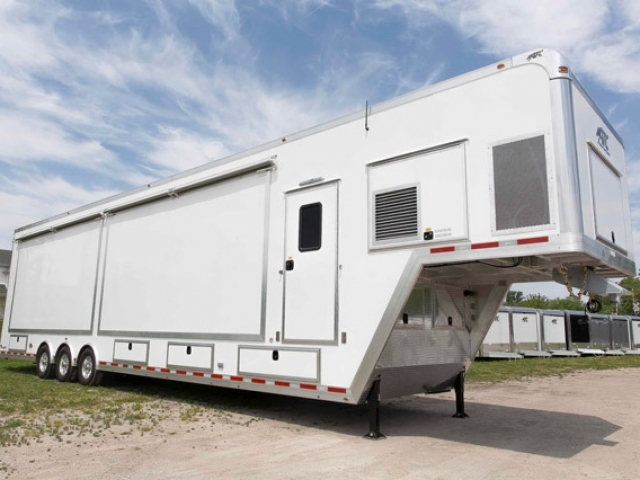 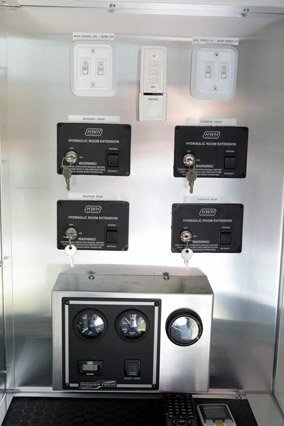 To get started on your custom trailer, Request a Quote or call us at +1 (866) 545-3065.